You are here: Home \ DIY Green \ Environment \ Going Green \ Resources \ Nectar of LIFE- WATER! Imagine you wake up in morning and you move towards your kitchen to have a glass of water and to open the tap of filter there’s no water! You go turn on the tap there is no water! You move towards your tank to see the level of water and you get surprised by seeing it empty and deserted! And you still not are worrying that this will be a day in future of mankind when we will only see deserted tanks and every human will be striving for every drop of water. Have you observed it’s rainy season still there are no signs of rains. Its scorching heat outside unbearable. Rampant usage of water, has been unnoticed by man now, there is continuous pressure on the resources has been restricted due to aggrandized polluted edible water. We all know, are important to both society and ecosystems. We depend on a reliable, clean supply of drinking water to sustain our health. We also need water for agriculture, energy production, navigation, recreation, and manufacturing. scarcity of water has made fertile lands barren and deserted them from greenness, depletion of water levels has also affected the green environment badly, deserted land cannot nourish trees to flourish which helps pollution to dense in environment. Lack of water leads to decrease in nutritive value of the plants and trees, it helps the plant maintain the proper temperature as water evaporates. When the moisture evaporates from the surface area, it causes the plant to draw more water up through the roots, to replace what was lost, helping to provide a circulatory system. This answers the question how does water affects plant growth. 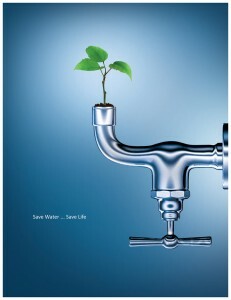 As lack of water would result lack of green environment which will be disastrous for mankind and earth as well! Lack of plants and trees would create a vicious cycle of degradation of environment. Changes in the amount of rain falling during storms provide evidence that the water cycle is already changing. Over thepast 50 years, the amount of rain falling during the most intense 1% of storms increased by almost 20%. Warming winter temperatures cause more precipitation to fall as rain rather than snow. Furthermore, rising temperatures cause snow to begin melting earlier in the year. This alters the timing of stream flow in rivers that have their sources in mountainous areas. As temperatures rise, people and animals need more water to maintain their health and thrive. Many important economic activities, like producing energy at power plants, raising livestock, and growing food crops, also require water. The amount of water available for these activities may be reduced as Earth warms, and if competition for water resources increases. It’s not only a particular region is affected by delayed rains and changing climate its world phenomena. And there is need to know the cycle of water, not just understand the importance of water but also put some actions in it! Unresistant pollution caused by man on fresh waters has affected human health badly. Water cycle keeps the cycle of the nature intact. Though many projects and policies have been made to work on the cleaning and reusing the waste water so that some areas overcome the water crisis. NASA’s observatory reported on the water cycle and climate change that amongst the most serious Earth science and environmental policy issues confronting society are the potential changes in the Earth’s water cycle due to climate change. It also said that the science community has agreed that earth is affected by climate change in response to natural variability, including solar variability and increasing concentrations of green house gases. Changes have propounded the affect atmospheric water vapor concentrations, clouds, precipitation patterns. The lower atmosphere becomes warmer as the evaporation rates began to increase resulting in an increase in the amount of moisture circulating throughout the lower atmosphere. As green house effect and global warming has flourished the water crisis problems along with that man has lost his sense of using water prudently. 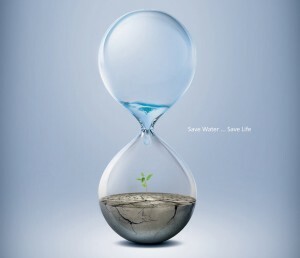 It is necessary for each and every person to understand the significance of water, as we know ‘charity begins at home’, it is urgent need of man to take small steps to preserve the water. Some regions have been affected by droughts and crying out of crisis! And some regions are over flooded. This has happened due to affected rains by climate change. 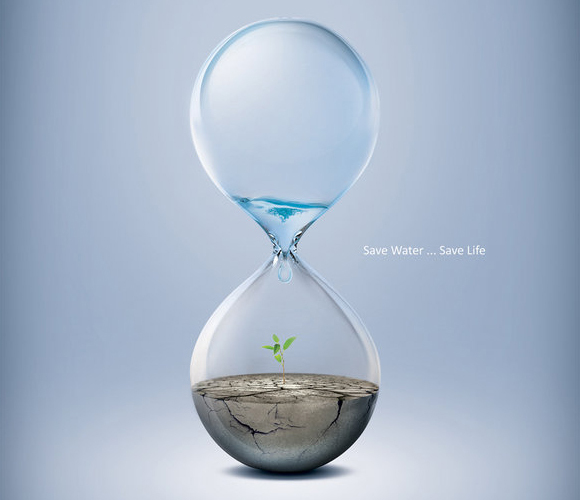 Water scarcity can be defined as a situation when people don’t have enough water to fulfill their basic needs For instance; India is one of the many countries that are facing water scarcity today. In Rajasthan and some parts of Gujarat, women have to cover long distances on foot in order to get a pot of water. In cities like Bangalore, a family has to spend from Rs. 15 to Rs. 20 to meet their daily water needs. 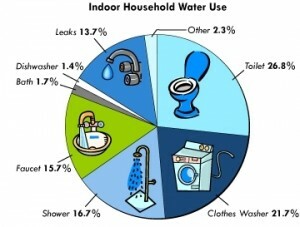 The problem becomes severe during summer months when availability of water decreases again. A recent study has revealed that about 25 per cent of urban population lacks the accessibility to fresh water. Also there are several cases of privatization of water bodies. Now it is the time to think rationally and act rationally! Save water save life! Let it not be mere a statement. Turn off the tap while brushing because it at least because this can save 6 litres of water per minute. , repair leakages in pipes, complain to government offices if leakage in public pipes are found, Fix a dripping tap. A dripping tap can waste 15 liters of water a day, or 5,500 litres of water a year. Rainwater harvesting can also prove to be very useful to collect rainwater and save it for future needs. Be wise and value the precious water! Or else time will come we would be the victim future disasters of nature by its creator would be man. Shattered greenery, food crisis, and all basic needs of man won’t be fulfilled, then it will be too late to think.